This is the main page of the C++ Annotations project hosted at GitLab.com. The project's repository can be reached at https://gitlab.com/fbb-git/cppannotations. Zip archives containing the C++ Annotations document in various formats are at https://gitlab.com/fbb-git/cppannotations-zip. Typos, corrections, etc. reported for the most recent release. The html-version of the C++ Annotations man-page. 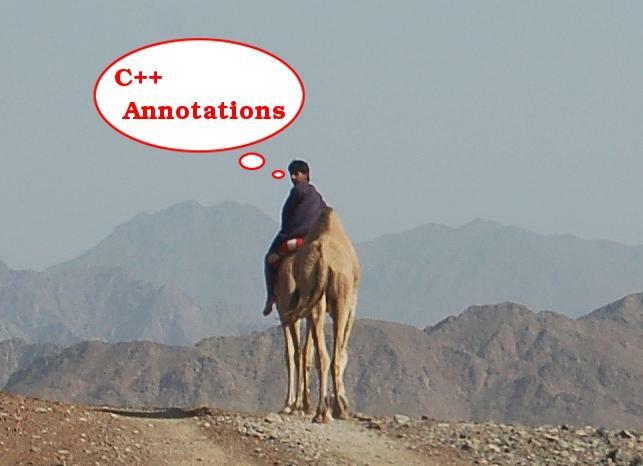 The complete C++ Annotations changelog.